David Shusterman, MD offers his patients innovative treatments for kidney stones including extracorporeal shock wave lithotripsy (ESWL) from his Manhattan, New York based practice, NY Urology. It’s a non-invasive procedure used to break up kidney stones into smaller fragments which should be easier to pass out of the body. ESWL is a common treatment for large kidney stones. During this procedure, Dr. Shusterman directs shockwaves through the body that cause a kidney stone to break into smaller pieces. This treatment is most effective on kidney stones two centimeters in diameter or smaller. Larger stones will typically require other more invasive treatments. 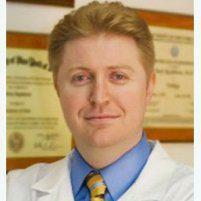 At NY Urology, Dr. Shusterman provides the most expert treatment of Kidney Stones using ESWL. Using the DIREX Duet Magna machine, Dr. Shusterman induces a combination of electromagnetic technology and the double shockwave idea, giving his practice a unwiue advantage in the field of shockwave lithotripsy. During ESWL, you’ll rest on an operating table and a water filled cushion will be placed either behind your kidney or on your abdomen. The water cushion helps Dr. Shusterman obtain a more accurate target of your kidney stones. The treatment will take between 45-60 minutes, during which time 1,000-2,000 shockwaves are passed through your body to target and eliminate all remaining stones. If necessary, Dr. Shusterman will place stents in your ureters prior to treatment to prevent any swelling from blocking your kidneys. After the treatment is complete, you'll rest for about an hour while any anesthesia wears off. Once you’re released, you’ll be advised to drink plenty of water to help flush out the stones and to filter your urine to catch any stone fragments. Dr. Shusterman may provide you with prescriptions for antibiotics and painkillers to aid in the healing process. Recovery is usually brief and most patients can get up and move around immediately after treatment. You may want to take a couple of days to rest at home and to allow the stone fragments to be flushed out of your body. You might experience some abdominal cramping and some discomfort as the fragments pass out of your body, but in most cases over-the-counter pain medication is enough to relieve any discomfort. What are the benefits of ESWL? One of the main benefits of ESWL is that it’s a non-invasive procedure that effectively treats kidney stones and provides patients with quick recovery times. You won’t need to stay overnight in the hospital and will be back to your normal activities within a couple of days. If you have kidney stones or experience symptoms that indicate kidney stones, make an appointment with Dr. Shusterman at NY Stone Center to see if ESWL will be an effective treatment for your condition.